Engineers in the aerospace industry are always under pressure to shorten development times for new aircraft. One way to achieve this is to reuse proven designs, architectures and components. But with new technology, societal trends, customer demands and commercial pressures, there will always be a need for development. Aircraft are becoming more complex, varied and interconnected, with more electronics and electrical systems on board. The onus therefore falls on engineers to innovate better and quicker ways of evaluating and certifying aircraft. Flight testing is an expensive and time-consuming process, so engineers are aiming to test more of an aircraft’s systems at higher levels of integration on the ground, before flight testing. The forthcoming 777X, which completed its maiden flight last month, provides a good example of the way in which laboratory testing is playing a greater role in modern commercial aircraft development. 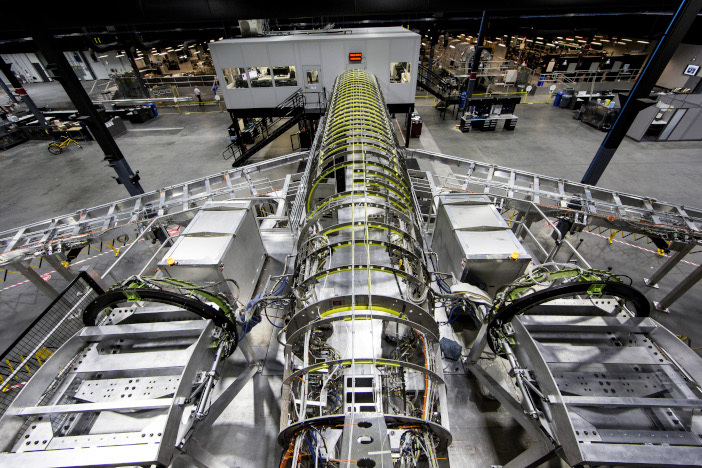 Boeing Test & Evaluation (T&E) built one of its most complex laboratories ever to test the 777X and verify its systems’ maturity before the first flight. The 11,600 square foot (1,000 square meter) Airplane Zero Lab features an accurate recreation of the 777X flight deck, integrated with all of the airplane’s components and testing equipment in one place. Engineers are using the laboratory to run the 777X’s systems in a virtual environment before its first flight. Boeing has also built the Integration Test Vehicle Lab to test the 777X’s flight controls and hydraulic systems, including the folding wing tips, which are unique to the 777X. The lab consists of an upstairs control room with an operational flight deck and electronic equipment to capture test data, and a large open bay below, where the airplane’s flight controls and hydraulic system components are laid out. 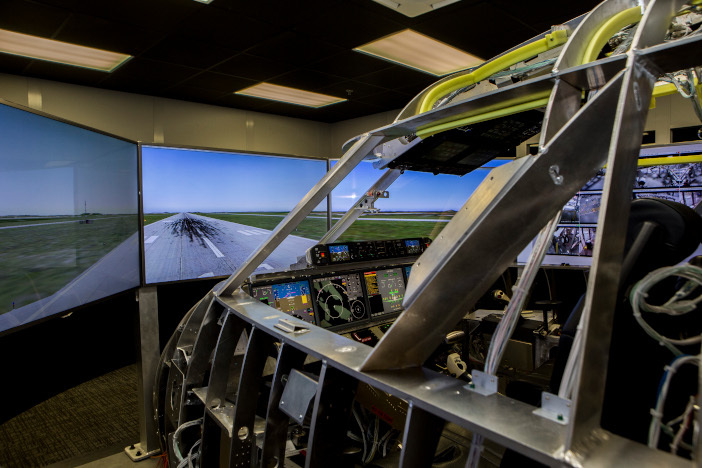 The Airplane Zero Lab represents the full functionality of the aircraft, which means teams can perform systems tests that would normally be carried out on the first flight test aircraft, called Airplane One. This has benefits in terms of project management. Micah Leibrant, 777X systems verification manager from Boeing, says, “The front loading and identification of issues early on using the lab reduces impacts to the program’s cost and schedule. Staying on plan at the individual system level is especially important when integrating multiple systems into an airplane. 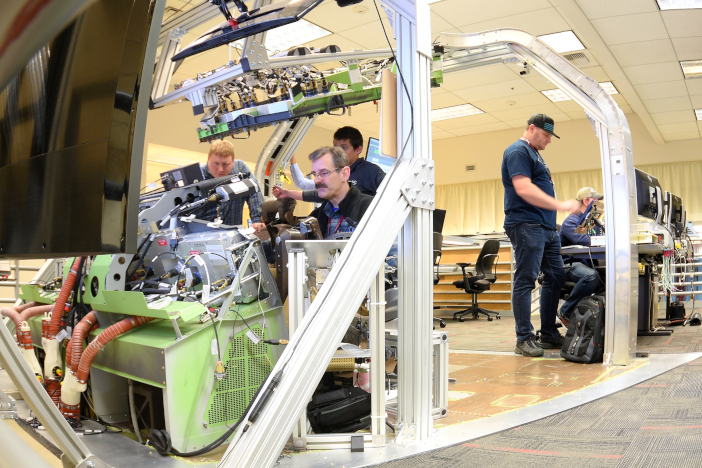 The laboratories enable Boeing T&E engineers to simulate a large amount of the system functionality as it would function on the actual airplane. Automation is used throughout the laboratories wherever possible. However, testing such integrated systems in simulated environments on the ground is an approach that has challenges. As an aircraft’s design evolves, so too must its laboratories. Dan Nale, senior vice president, programs, engineering and test at Gulfstream, is proud of the amount of testing his team can perform before the first test aircraft takes to the skies. He cites human factors as an area where the company has reaped the benefits of simulation using hardware. The company used these techniques to reduce the time it took to develop and test its latest aircraft – the G500 and G600. These aircraft received updated flight decks – the control yoke was moved to an active control sidestick, the cursor control devices were shifted from outboard to the center column, touchscreens were installed in place of buttons, dials and switches, and new pilot seats were used. 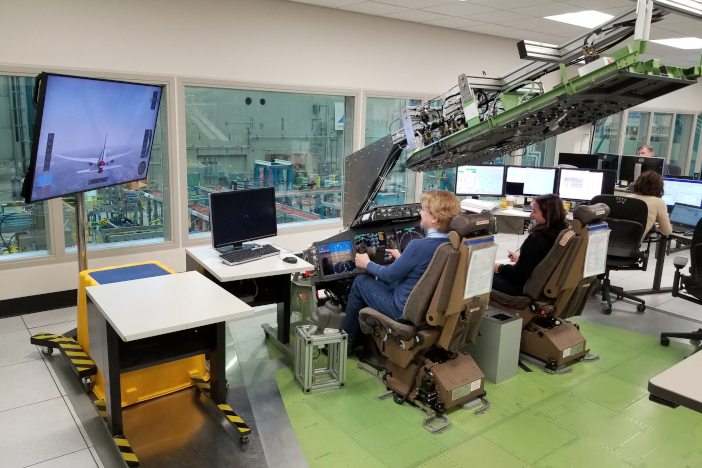 Engineers evaluated and tested the new flight deck designs across a range of pilot sizes and types at the company’s Savannah R&D center in the Conceptual Advanced Simulation Environment (CASE) and an integration test facility. Pilots with different backgrounds were brought to the laboratory to ‘fly’ the aircraft while the human factors team evaluated how they interfaced with the various elements of the flight deck. Nale agrees that the amount of testing prior to a maiden flight is increasing. Before the G500 made its maiden flight, the aircraft had already flown about 30,000 hours in laboratory simulations, enabling much higher maturity before the first flight. “The pilots even ‘flew’ the exact flight test card as for the first flight,” he says. “In fact the G500 and G600 represent the most rigorous certification programs we’ve done – in large part because of the work we’ve accomplished in the labs. “The work done in the labs allows us to perform, practice and evaluate high-risk maneuvers on the ground before doing them in the air. It also enables us to identify improvements and address them prior to flight test and, ultimately, delivery to the customer. It’s not uncommon for our flight test aircraft to come back without a single squawk. In fact the G600 flight test aircraft once flew 22 consecutive sorties without a single issue. As well as the actual aircraft components, engineers use computers that have been modified to handle inputs and outputs, paired with data acquisition systems to construct aircraft integration systems laboratories. They then use them to run simulated real-time scenarios. HIL is one of several types of real-time simulation technologies that real time test equipment supplier Opal-RT offers. Within HIL, it offers a number of applications such as rapid-control prototyping and high-power HIL. Charles Fallaha, Opal-RT’s team leader for more electric aircraft development, says, “There’s been more interest in simulating high-switching power electronics components and systems. When inputs and outputs are not at levels that would be found in components on an aircraft, amplifiers and power supplies are used in a laboratory to boost the I/O signal and create realistic scenarios, such as take-off and landing. Tom Kirk, senior technical sales at Opal-RT, believes there is plenty of opportunity to increase the amount of real-time simulation done in the aerospace sector. “We’re moving away from mechanical and hydraulic systems in aircraft design and there’s an impact on design and testing, in power issues and high heat flows,” he says. “We’ve been working with the aerospace sector for 20 years and it’s still behind the automotive sector in this type of testing.